Dar needed a refreshed website that could be easily edited and updated by her team with minimal fuss. 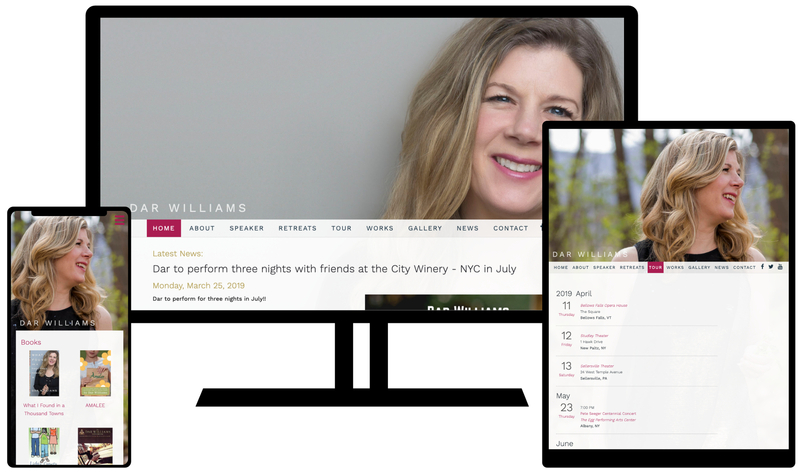 We used our own Slab Web Publishing Platform to create a unique design that would show off her books, appearances, concerts, and music. Built-into her website is a newsletter engine to send out notifications to her fans. We created a site for her years ago, and are excited to have her back with us again.